If the FODMAP diet isn't working the way you’d hoped to control IBS symptoms, don't beat yourself up. There are 3 key areas to check in on in order to get YOUR best results from the FODMAP Diet. Like many of you, when I first heard about the FODMAP diet plan as a way to change my own IBS symptoms, I was overwhelmed. Not just with all the information out there, although that definitely was the case. Sometimes, it was overwhelming how much I didn’t know. Four years ago, there was very little information to go on, no explanation of the nuances. Suddenly having to change my diet overnight felt very difficult and complex, with no guidance on how to make it work in a practical sense. There's more info out there now, but I think people can still relate to what I experienced. Also, a lot of the current information is still conflicting or out-dated. I had to forge my own path. And a huge part of why I do what I do is that I believe that you shouldn’t have to do that to change your life for the better! Looking back on it, there’s so much I wish I’d known before I started. So many tips and tricks and even affirmations that would’ve made this whole thing a lot smoother—and a lot less emotional. I've also asked members of the community what they wish someone had told them when they first started out with the FODMAP diet plan. Many of the answers lined up with my experience! So today, I'm going to share the things that I wish I knew when I first started. Hopefully, you’ll find this useful, no matter where you are in your journey. It seems like such a minor thing now, but this was definitely my number one source of anxiety and fear and stress when I started to grasp what the FODMAP diet really entailed. All those recipes I relied on would have to be modified or thrown out—and at first, I had no idea how to even begin. For years, I made my living as a recipe developer. I love food, and own an embarrassing amount of cookbooks! And I can tell you that giving up onion and garlic is not the end of the world. Sure, it’s an adjustment, but it’s not impossible. While I, personally, can tolerate a bit of onion, I don’t do great with garlic, and I don’t really keep either of them in the house. It’s worth it, to me, to see the success of following the FODMAP diet plan in my own symptoms. In a way, whether it’s onion, garlic, or any other food, it really won’t be as bad as you think, giving it up temporarily or even for longer periods of time. I promise. You can check out this ultimate guide for other ways to flavor food that won’t trigger your IBS! Okay, I know I just said that giving up some foods isn’t the end of the world. And it’s not! But any major lifestyle change means changing all of your patterns—even ones you might not be aware you have. It will take time. It doesn’t happen overnight. Doctors love to give you a little two- or three-page handout that makes it seem super easy to just completely overhaul your diet overnight, but the truth is, not many people can just turn completely change the way that they cook, shop, and eat in one day. You have to be patient with yourself. You have to give yourself time (and grace!) as you begin the process. Even though I had cooking skills and already was a healthy eater, I couldn't turn it around overnight. I needed time to get comfortable with the changes in my eating habits. Whatever you do, don't let beginner overwhelm hold you back from starting. Just know that it's going to take time to get comfortable, and it's okay to be to be stressed about it when you start. If you mess up, that's okay! Don't beat yourself up—keep going. A lot of people ask me this one, especially as they start to really think about how often we all eat in social settings—restaurants, work lunches, family meals. When you can control the food, things tend to work fine. But when other people are cooking? That can be a little stressful. If you’re worried about how the changes in your diet will affect eating out at restaurants—whether it’s asking for order changes or worrying about being judged for what you put in your face—that’s normal. No matter how much we worry that other people are judging us, people are always more concerned about what they are doing, than what other people are thinking. It’s just our nature! We’re all a little self-centered like that. And if someone does give you grief or side-eye for swapping your asparagus for a side salad? Then they really need to find a hobby. What you eat isn’t a judgement, or critique, of anyone else’s eating. Refusing a food, making healthier choices, these are all worth it, to make your body feel better. If you’ve spent any time on this site, then I know you’ve heard this one before. But it’s absolutely true. Listen to what your body is saying—not just with the food, but with all of it. The great thing about making this kind of diet change is that you have this really excellent opportunity to learn about all the other factors that affect your digestion, besides just the FODMAPs. When you take those away, you start to listen to the other little messages your body is sending. For example, stress is a big deal for me. It messes with my stomach. Now I can hear that message more clearly, and adjust my lifestyle accordingly. Another thing I learned was that adjusting the overall volume of food I was eating helped with my symptoms. I was just giving it too much to do! Eating smaller meals, letting them digest well, allowed my body to tell me, hey, you’ll feel less bloated and heavy and gross. For many of my clients, I often hear that their period sends them a huge message, thanks to fluctuating hormones! As you can see, all of these non-food factors can affect your gut. Every body is different. What’s yours telling you? For those of you who love bread, this one is really exciting. This wasn’t even established when I was first beginning my FODMAP diet journey, but within the last two years, Monash has tested sourdough bread and found that, because of the slow fermentation process, sourdough bread has an extremely low FODMAP content. The only catch is that it MUST be made using a traditional slow rise process. Luckily, it’s easy to tell if sourdough is indeed slow rise: Check the ingredients. If the sourdough bread contains yeast or enzymes, then it was not made with the slow rise method. Traditional slow-rise sourdough requires just three main ingredients: flour, water, and salt. Instead of yeast, a “starter” causes the bread to rise. This happens when natural bacteria occurring in the air slowly ferments by consuming the FODMAPs and other carbohydrates in the flour. This produces gas, which creates the rise in the bread. Great news if you’ve been missing bread! Like most of us, I spent a long time on the elimination phase of the FODMAP diet. Because I was feeling better, and seeing a reduction in my own symptoms, it felt really comfortable just to stay in that highly restricted zone. And yet it’s really important to test foods and reintroduce them—not just because it’s healthier to have more variety in your diet, but also because that’s the only way you’re going to know your personal FODMAP tolerance levels. One thing I learned when I did finally reintroduce FODMAPs is that I have a pretty high tolerance for wheat. I can still eat my homemade pizza and croissants, and for me, that’s amazing. On the other hand, I used to love making sweet potato fries, but now I can only have a few bites. A bigger serving of sweet potato makes my stomach feel heavy and creates unpleasant symptoms the next day. And there’s no way I would’ve known that without reintroducing FODMAP categories one by one. You might be taking a risk with a certain food during this phase, but the knowledge you will gain will be priceless. #7 You won’t always feel deprived! When we talk about diet changes, there is always this lingering worry, this fear of deprivation. And it makes sense: We’re taking away a lot of common foods that are in favorite dishes, at home and out in the world. It’s a huge adjustment, looking at food in this new way. Yes, it will absolutely feel like an adjustment. You’re definitely going to hate taking away some foods—but eventually, the feelings of being so healthy and feeling so much better and feeling empowered will begin to outweigh the difficulties. You may still experience IBS symptoms. That’s totally normal. But overall, you will feel so much better, because you’ll finally have control over how your body feels. And those are my top seven items I wish I’d known before starting the FODMAP diet! They’re definitely truths for me, and ones I hear from my clients as well. I hope that they can empower you to begin your FODMAP journey. …sign up for our Free 7-Day Calm Belly Challenge. This mini course helps you set the foundation you need to succeed on FODMAP. Because you deserve to have a calm belly too! Are Gluten & Bread Allowed on the FODMAP Diet? Today I’m going to explain how gluten fits into the FODMAP Diet. Ever wonder if you have to eliminate gluten on FODMAP? Or maybe you’ve heard that bread might be okay? I’ll address these questions, AND I’m going to explain why you CAN eat regular bread, even if you're in the elimination phase! This blog post comes from a live video I did on Facebook, so you can either keep reading or scroll down to watch the video! Is Gluten Allowed on the FODMAP Diet? This is one of the most common questions I get asked, so I’ll cut right to the chase: No, you don’t need to avoid gluten. Gluten is a protein, while FODMAPs are carbohydrates. 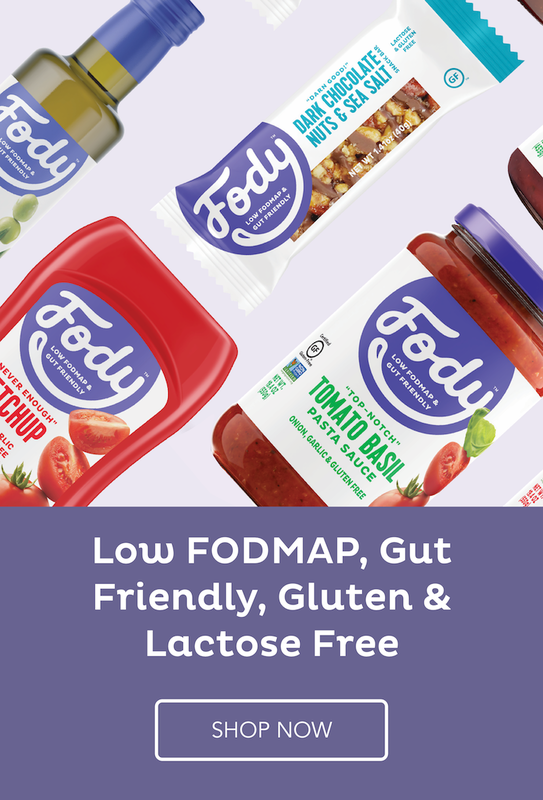 FODMAP's stand for fermentable oligosaccharides, monosaccharide, disaccharides, and polyols--all types of carbs. It gets confusing because the main sources of gluten in your diet are wheat, rye, and barley. Those all contain gluten, but they also all contain FODMAPs. Since you must avoid those grains on the FODMAP Diet, you also end up dramatically reducing your intake of gluten. Additionally, many gluten-free products are recommended for FODMAPers. Not because you can’t eat gluten, but because those products are free of wheat, rye, and barley. What If I’m Gluten Intolerant? It’s possible to have a gluten sensitivity AND a FODMAP sensitivity at the same time. Keep in mind that a sensitivity doesn’t mean you can’t eat ANY gluten at all. People who have celiac disease need to avoid it ALL THE TIME. However if you're sensitive, and there's just a little bit of gluten in your food, it's not likely to cause major issues. If you suspect gluten sensitivity, I recommend focusing on FODMAPs first and then gluten, or vise versa. It's hard to test too many different things at the same time. And if you’re sticking to the FODMAP Diet, your intake of gluten will be negligible anyway. Is Bread Allowed on the FODMAP Diet? Scenario #1: You can eat small servings of bread made with regular wheat flour. Researchers at Monash University created the FODMAP Diet, and have the done the vast majority of food testing. According to their app, a one-ounce serving of white bread is low-FODMAP. If you buy a typical loaf at a supermarket, one slice is usually about one ounce, or 28 grams. If you don’t own the Monash FODMAP app, I highly recommend it--it’s the absolute best tool to understand the importance of portion sizes so can eat a wider variety of foods! If you eat a one-ounce serving in a sitting, you're still in the low FODMAP zone. So, if you just love to have your regular piece of toast in the morning, you should be able to do that. One ounce is also the equivalent of half an english muffin. If you're in a situation where you don't have a lot of low-FODMAP food options, it's nice to know that eating one piece of white bread likely doesn’t contain enough FODMAPs to cause symptoms. There’s more flexibility in the FODMAP Diet than you might think! Let's follow this logic a little further. If it's okay to have a slice of bread, then it's okay to have a few crackers, or a cookie that contains regular wheat flour. That's not going to ruin your diet in the elimination phase, or trigger symptoms for most people. The goal is to reduce your FODMAP intake, not completely eliminate all FODMAPs (yes the terminology is confusing, unfortunately). Truly eliminating FODMAPs would be nearly impossible, since many foods allowed in the elimination phase do contain some amount of FODMAPs. All the food serving sizes are guidelines--they’re your starting point. If that one-ounce slice of bread is too much for YOUR body, then that’s okay. Pay attention to how different foods makes you feel, learn from that, and adjust. The second way to get your bread fix is with sourdough. This type of bread is made using a “starter” and a slow-rise process, while regular bread rises with the help of yeast. During the slow rise, the bacteria in the starter consumes the sugars in the bread--many of these sugars are FODMAPs. Those FODMAPs ferment which produces gas, or bubbles, that makes the bread rise. Enough of those FODMAPs are getting consumed to make sourdough bread low-FODMAP! To be clear, you do not have to find gluten-free sourdough bread. Just the regular stuff made with regular flour is okay. However, do make sure your sourdough bread does not contain yeast, or enzymes. If it does, then these ingredients were added to shortcut the slow-rise process and the bread will not be as low in FODMAPs. There really are a lot of "subtleties" when it comes to the FODMAP diet, but don't let it drive you crazy. The reality is that it's a lot more flexible and manageable than it first appears! What can you order at a Mexican restaurant on the low-FODMAP diet? Read a quick summary of good menu options, and learn about why these are your best bets.